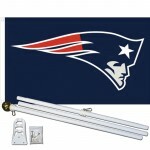 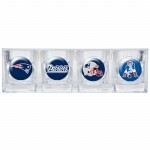 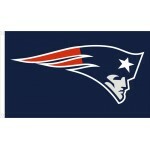 Display your New England Patriots pride on the go with this double wall acrylic tumbler. 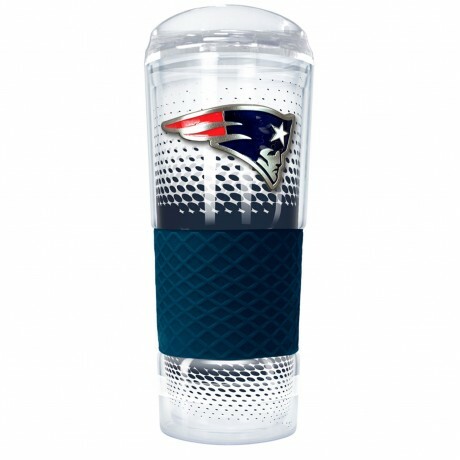 The insulated design will keep your cold drink cold, or keep your coffee hot during your morning commute. 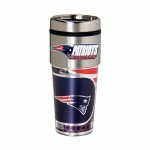 The slim design ensures this mug will fit into your vehicle cup holder. 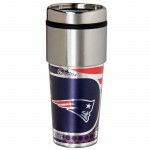 Each tumbler comes with a hand-crafted metal emblem and a silicone grip in your team colors!